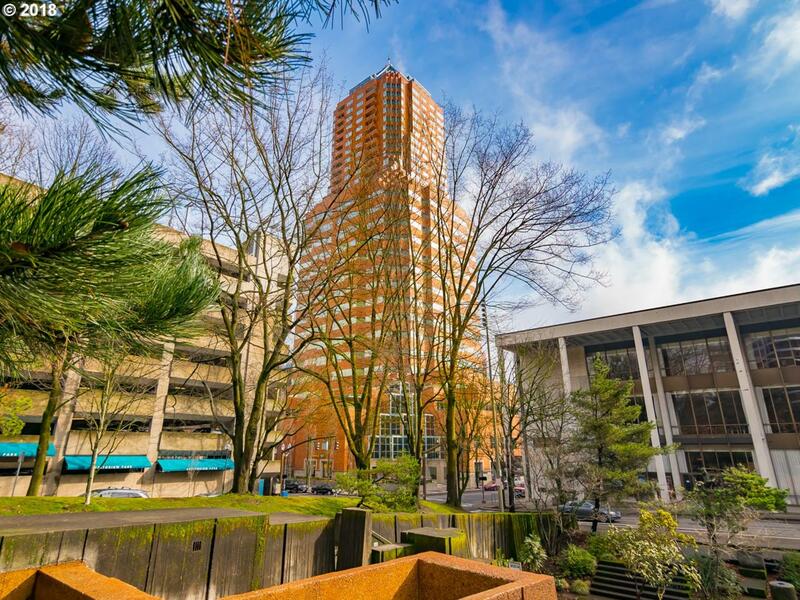 Commanding, city, west hills & river views atop the iconic KOIN Tower. 1909 sq. ft. of living space offering an open floor plan with large living areas, formal dining area, large chefs kitchen with built-ins and nook area. Terrace perfect for entertaining & a private master suite that includes ensuite dressing area, closet space with built-ins & full bath. Large storage room & 1 parking space. 24 hr. a day Concierge service.